‘Tis the season to eat, drink, and be merry! 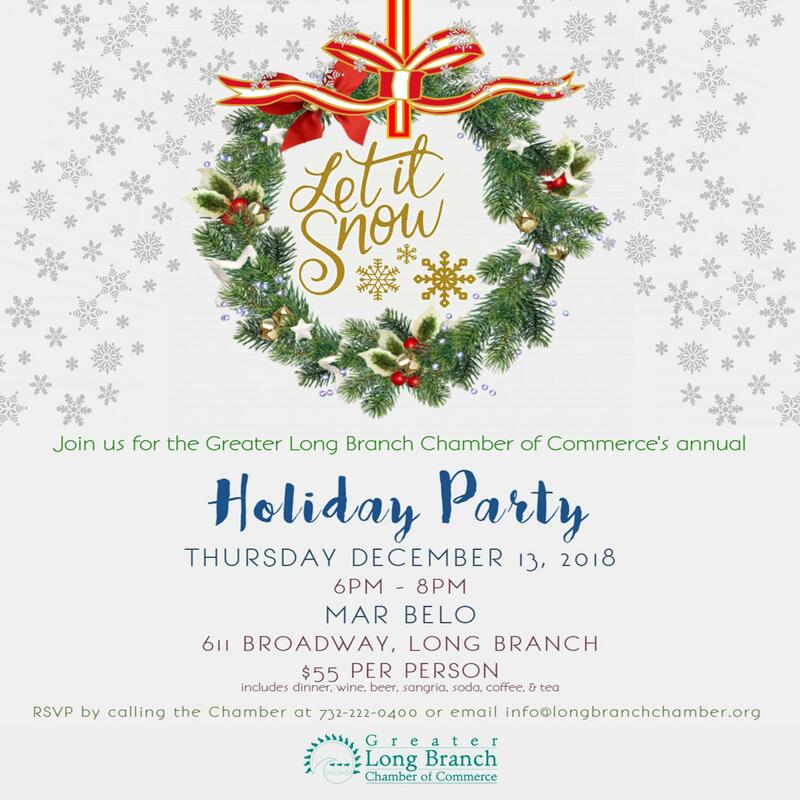 Join the Greater Long Branch Chamber of Commerce at Mar Belo for our Annual Chamber Holiday Party on Thursday, December 13th from 6pm-8pm. Tickets are $55 and include dinner and dessert, wine, beer, sangria, soda, coffee, & tea. Call us at 732-222-0400 or email us at info@longbranchchamber.org.